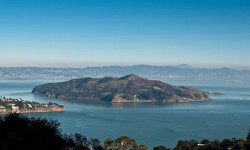 Sunny and Mild Conditions Set Perfect Stage for Day-Trip to Angel Island. 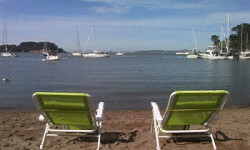 Drop everything and hop on board Angel Island Tiburon Ferry to savor this idyllic summer-like weather while it lasts. Angel Island offers beautiful, secluded beaches with unsurpassed views of the Golden Gate Bridge, San Francisco Skyline, and San Francisco Bay.